Over the past three weeks, we have been proud to publish our blog series on the Cold Formed Steel experts of FRAMECAD; the people that have the vision and dedication to improve the way the world constructs. From our passionate account managers and construction experts, to our in-house equipment designers, manufacturing engineers and talented software staff, we are proud to create our end-to-end automated construction systems entirely all at our dedicated Tech Park in Auckland, New Zealand. The FRAMECAD integrated set of intelligent software and manufacturing systems; combined with exceptional customer support enable the FRAMECAD system to provide an end-to-end design and build solution for Cold Formed Steel like no other. 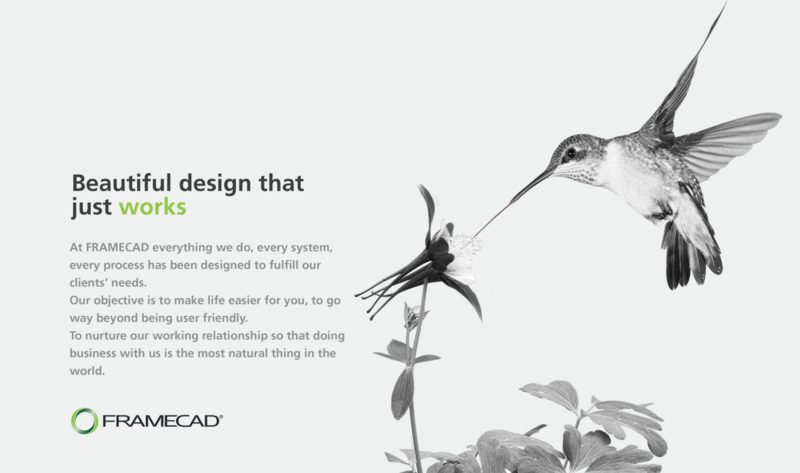 Because our entire system is developed in-house, you can be rest-assured knowing that every single component and function of the FRAMECAD system was designed and developed to work together. This means for Engineers, Architects, Manufacturers and Contractors you have complete assurance knowing that the FRAMECAD system will operate smoothly with very little room for error. In the very rare occasion that something may go wrong, FRAMECAD’s dedicated global team of technicians will be able to help identify the problem and provide a fast and efficient fix no matter where in the world you are. Our team of technicians are completely trained from end-to-end and can assist with software, equipment, manufacturing, plant set up or with on-site construction. No Other Provider of End-to-end Automated Cold Formed Steel Technology Can Provide you this Support. If you missed our previous blogs, we encourage you to take the time to learn about the team at FRAMECAD and their role in providing you with the world’s most advanced end-to-end system for Cold Formed Steel. For FRAMECAD, innovation is everything; it’s a catalyst for enablement – whether enabling clients to construct buildings quickly and safely through an integrated system or supporting communities to achieve a better standard of living. We’ve spent 30 years researching and testing in order to build a platform that people can rely on. We invite you to be apart of the FRAMECAD Network and to discover a more efficient and affordable way to construct. Talk to us today and discover the Way the World Constructs.